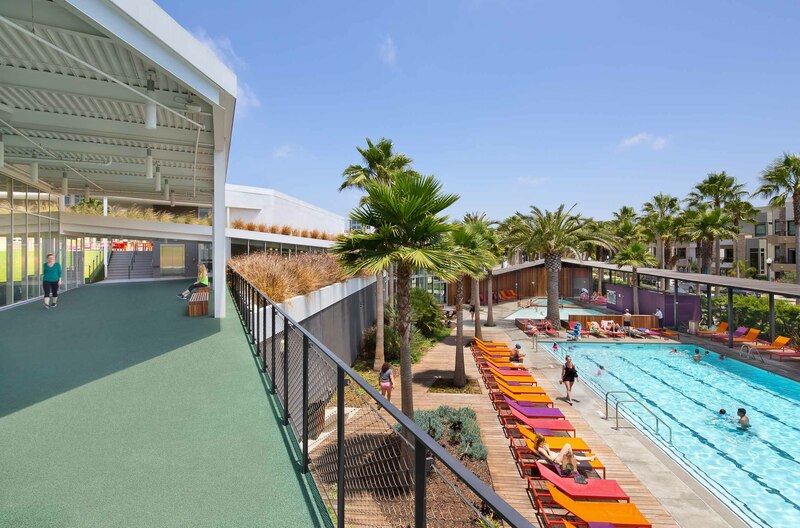 Conceived with the idea of “Building as Park,” the Resort at Playa Vista is a 25,000 square foot community center for the Playa Vista community. The project represented a unique opportunity to explore the intersection between this neighborhood culture and its rich natural environment. After a careful analysis of the site, program, and climate, a “Figure 8” organization was created to allow the landscape to weave continuously through the architecture. 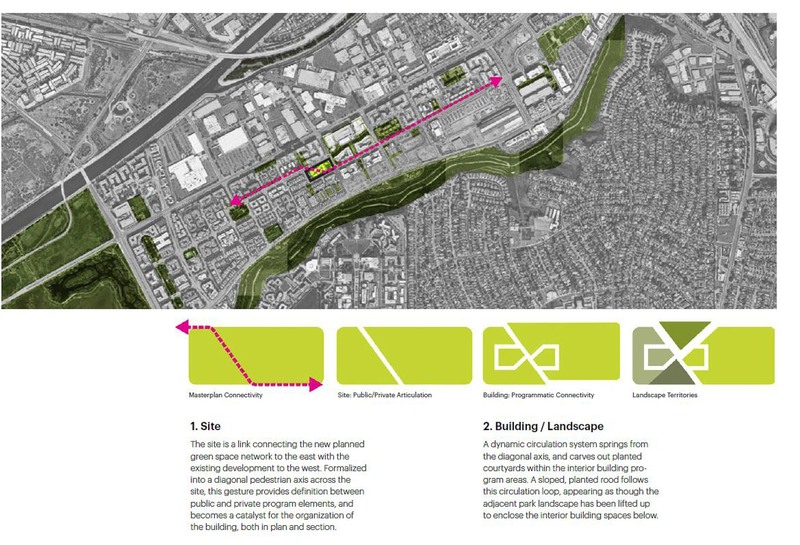 Beneath, beside, and around this figure-8 path, the facility program — community meeting rooms, classrooms, a demonstration kitchen, a fitness center, lobby, and locker rooms, along with an extensive pool area with 5 bodies of water — are situated to relate back to the traversable, planted path. Public and private programmatic elements are sequenced along a figure-8 circulation loop that moves sectionally between both floors of The Resort. 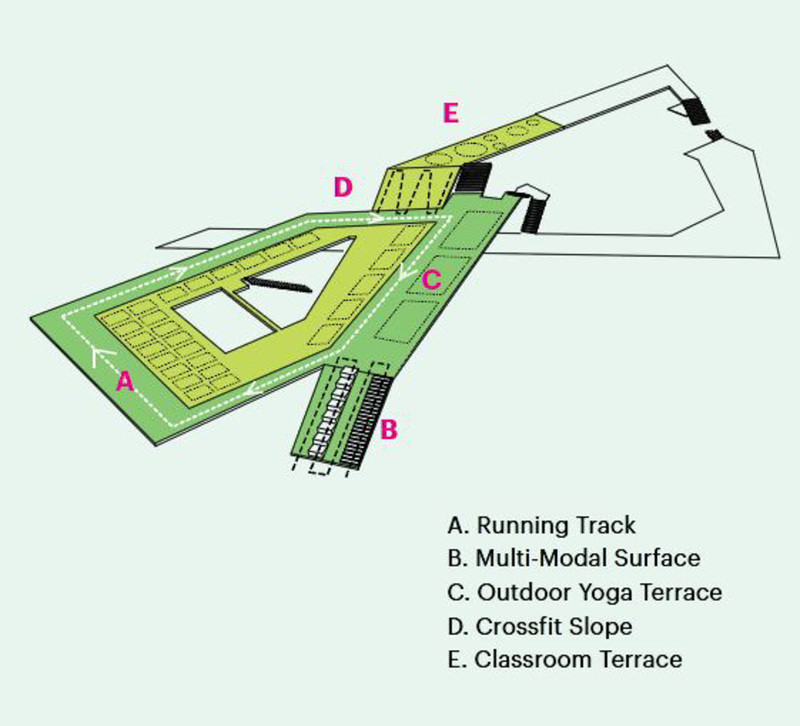 The two ends of the path are organized around two courtyards and provide connectivity between the various programs while additionally being overlaid with an exterior running path and exercise circuit that encircles the fitness center. 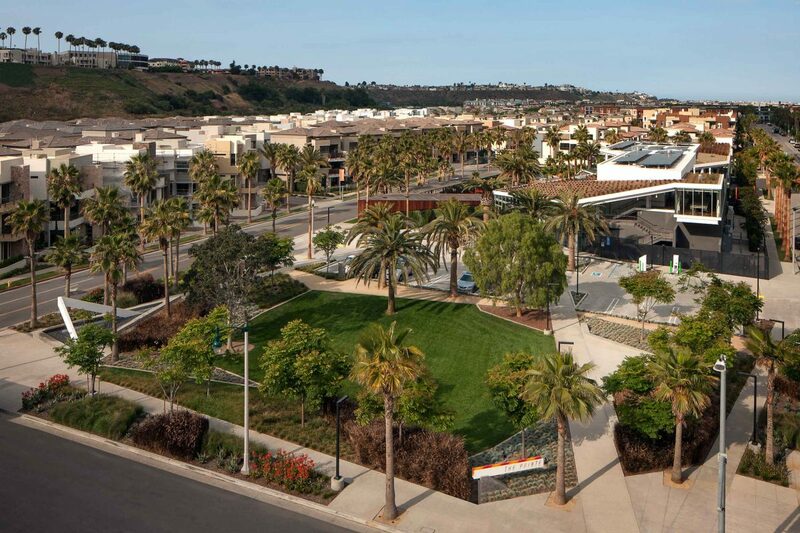 The site provided the opportunity to create a community center program with desirable, welcoming spaces for the community that could expand and contract to accommodate varying scales of events to connect to the neighborhood, and its native wetland environment. 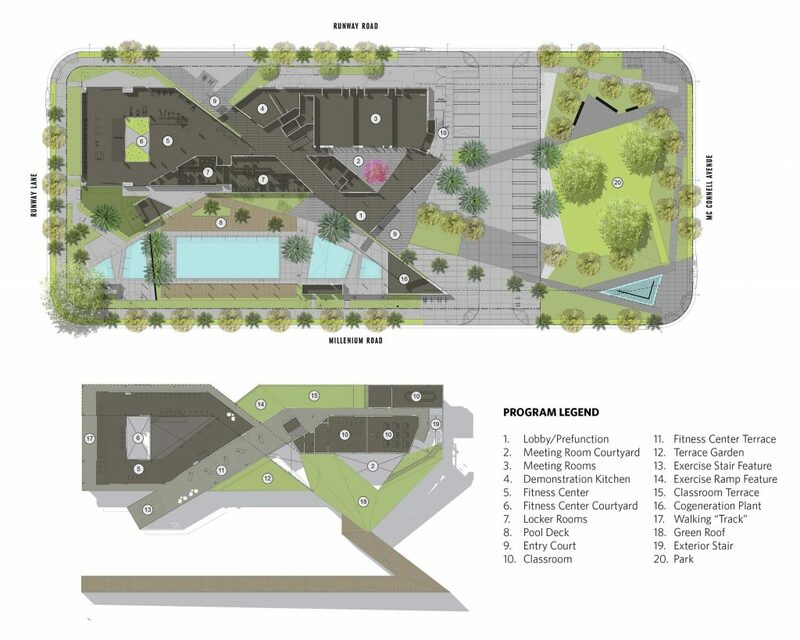 The site design also incorporated a small parking lot, and adjacent pocket park that flexibly double as spaces for community gathering and celebration. The Resort establishes a connective tissue within a planned network of parks and green spaces. The building ties itself into the adjacent fabric by providing diagonal circulation across the site which links to adjacent areas — a linear park to the east to a pocket park to the northwest. The design priority was the organization of circulation and spatial relationships between programs, rather than material, form, or geometry. In doing so The Resort does not utilize landscape as a formal trope, but rather posits ‘landscape’ as the relationship between a series of natural and cultural ecologies, which are integrated and connected through the environmental performance of the buildings. From the outset, Rios Clementi Hale Studios’ integrated the local climate into the concept of the project, defining programmatic boundaries that break the physical enclosure of the building. In concept and reality, this organization creates a synthesis between the performative aspects of architecture and landscape. 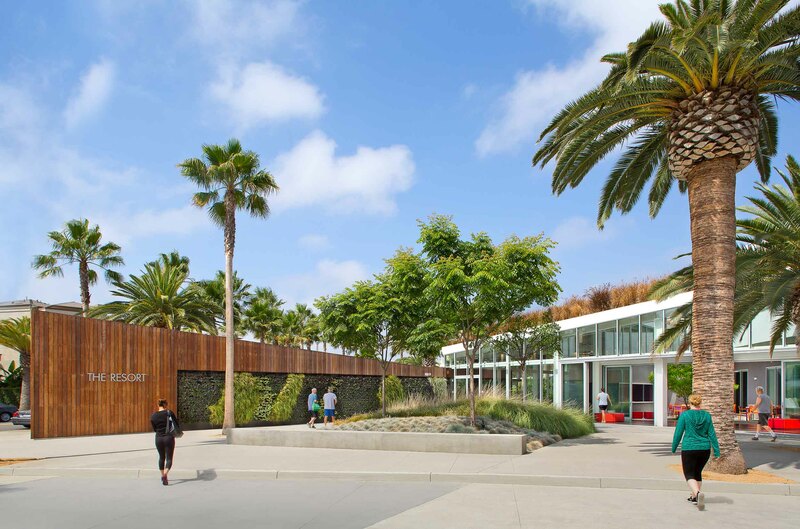 Orienting The Resort parti to take advantage of the prevailing coastal breezes allowed for the use of natural ventilation within the figure-8 through the courtyards and a myriad of operable glass walls. Cool air is pulled into the building to establish a natural ventilation system whereby the building mechanical HVAC systems are reduced by more than 75%. 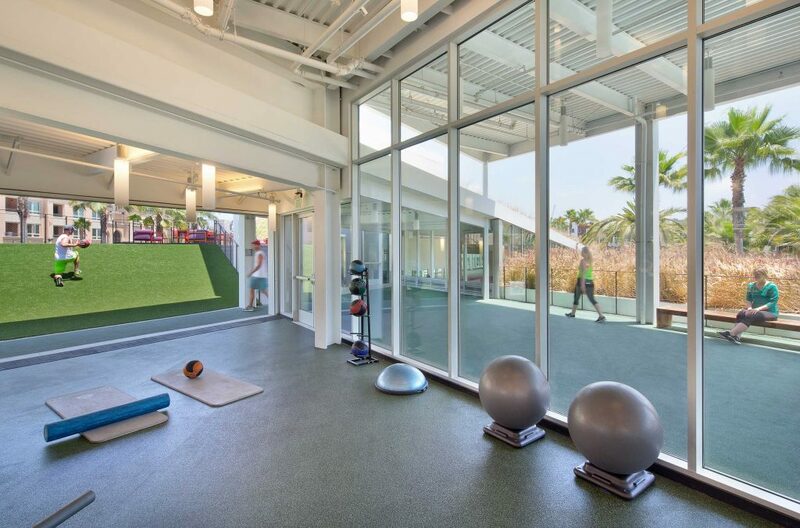 The same banks of sliding glass doors that aid the natural ventilation system allow for the expandability of major event space and fitness program areas. 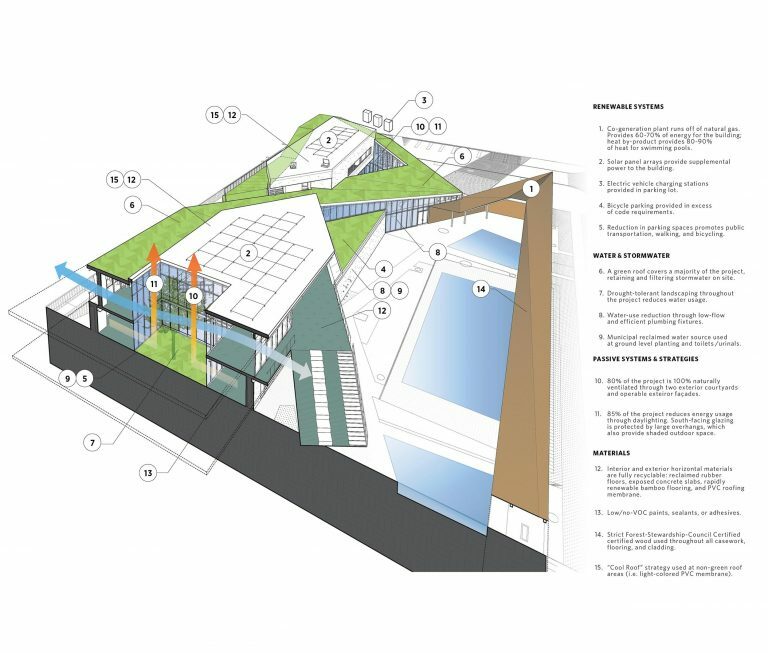 The passive cooling strategy is augmented by the implementation of purely technological strategies, such as the use of solar panels to offset the energy consumption of the building, as well as the installation of a co-generation plant (which uses natural gas to generate electricity, while heating the pools using a thermal exchanger). 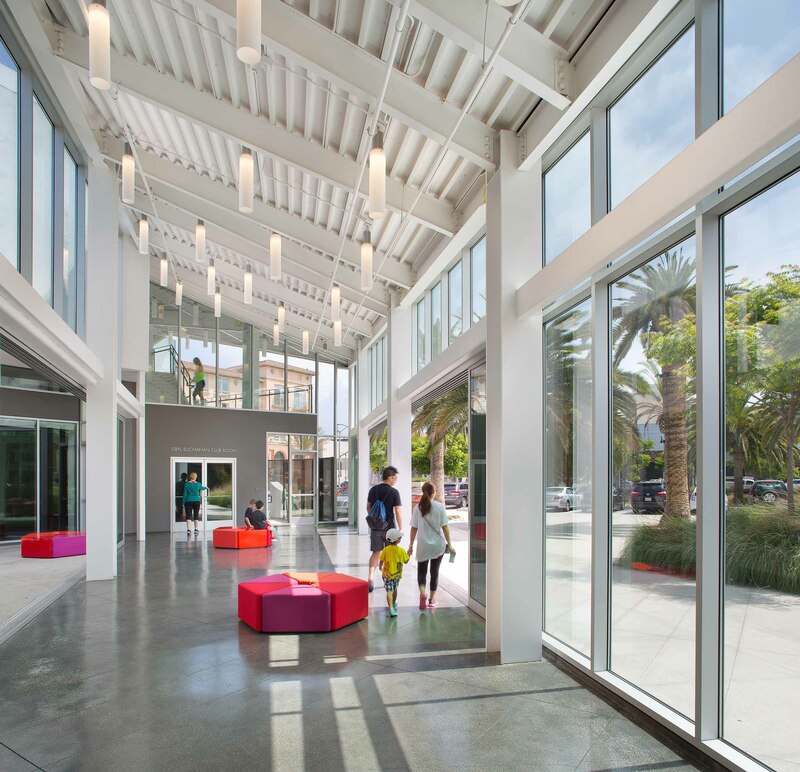 Indirect daylighting strategies, through these same courtyards and exterior glazing, are also utilized to reduce energy consumption and overall heat gain. 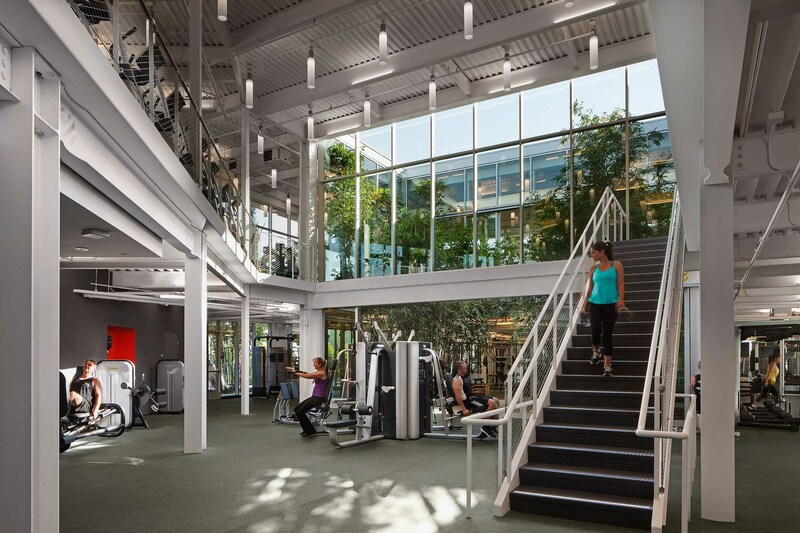 The resulting project exceeded the client’s expectations and provided them with their first LEED platinum building. 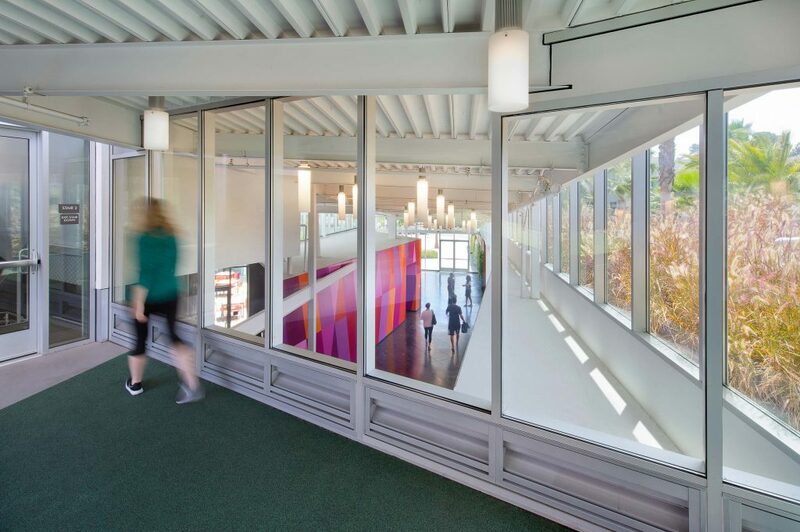 These simple strategies also lend a visual and physical transparency to the project, which allows for connectivity and overlap between the various programmatic elements, and ‘slippages’ between interior and exterior environments. 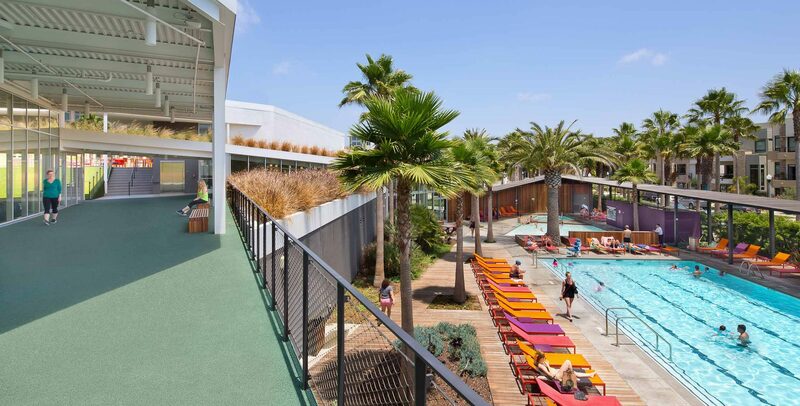 The Resort at Playa Vista has become an iconic landmark in the neighborhood, an attraction that draws visitors from outside of the immediate community. 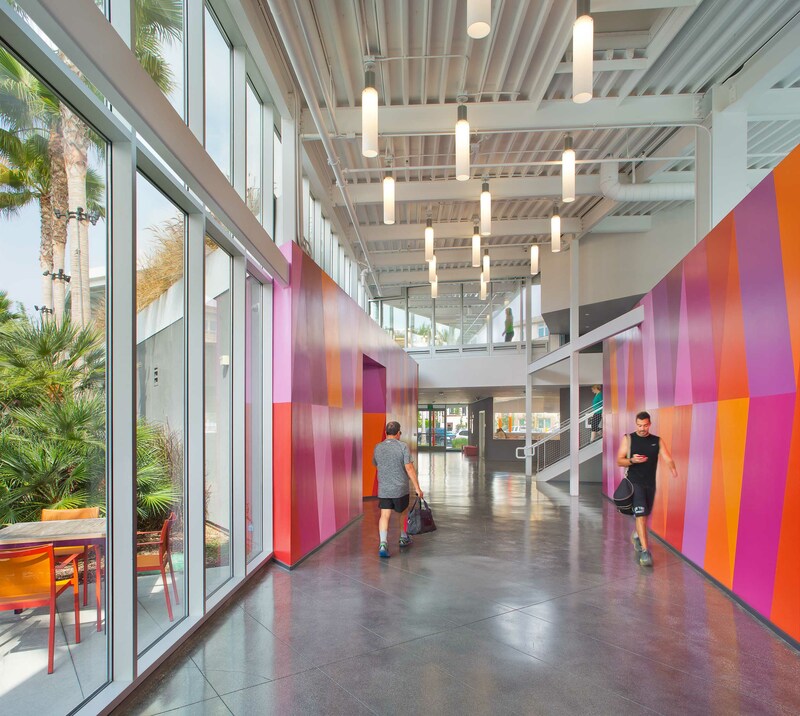 To the community itself, the facility serves as its new heart, becoming a place for all people to meet and gather.